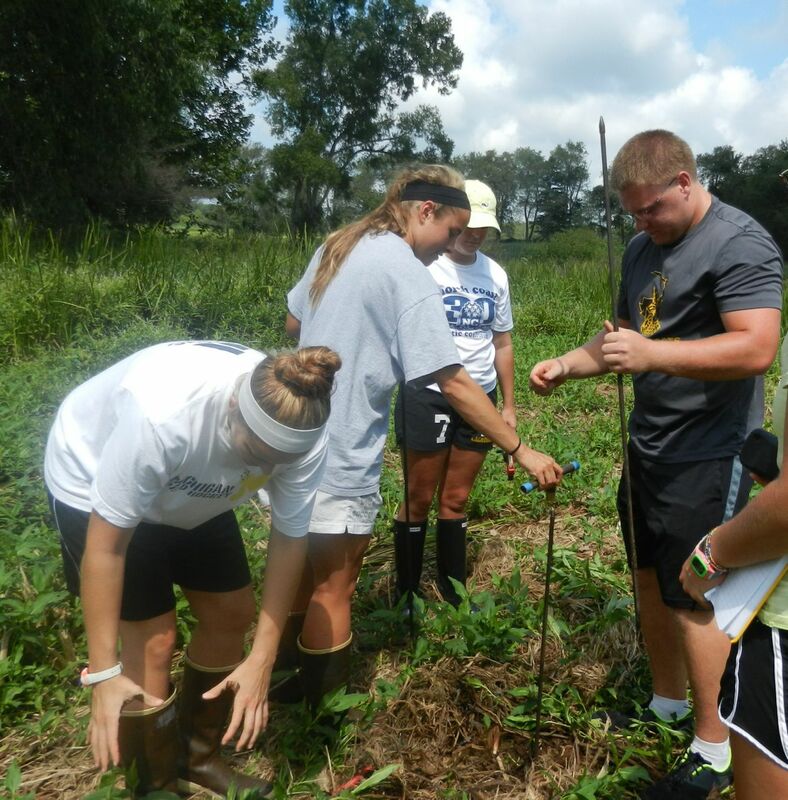 Wooster’s Climate Change class is starting the semester by coring a bog adjacent to a recent Mastodon find in Morrow County, Ohio. 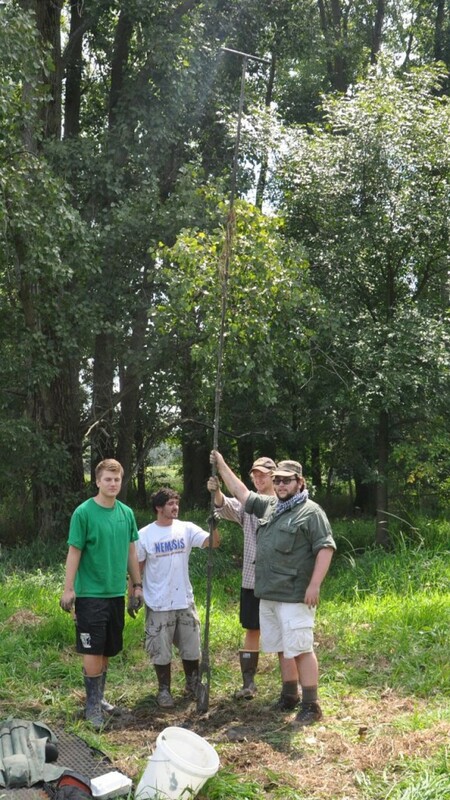 The Mastodon work and related excavation is being led by Nigel Brush, University of Ashland. 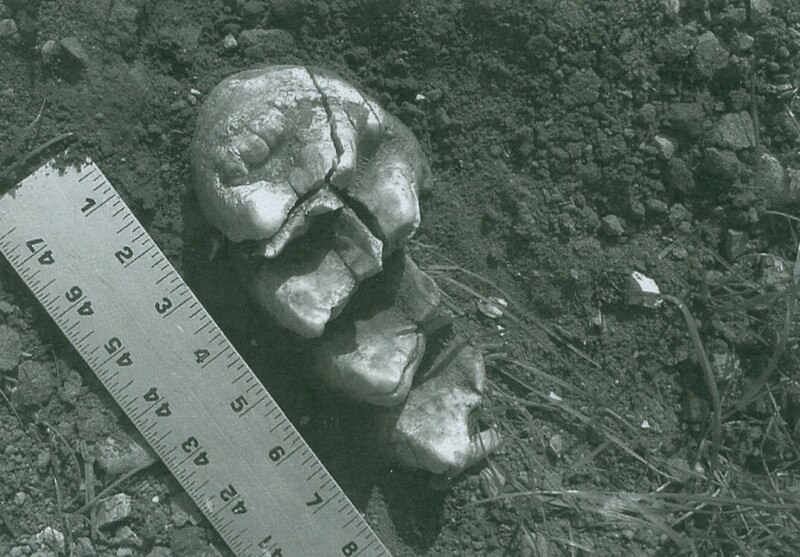 Above is a photo (courtesy of Nigel Brush) of the original mastodon tooth find. After a fairly extensive theoretical conceptualization – theory was successfully brought to practice and in some cases the probe was sunk over 20 feet into the soft mud of the bog. 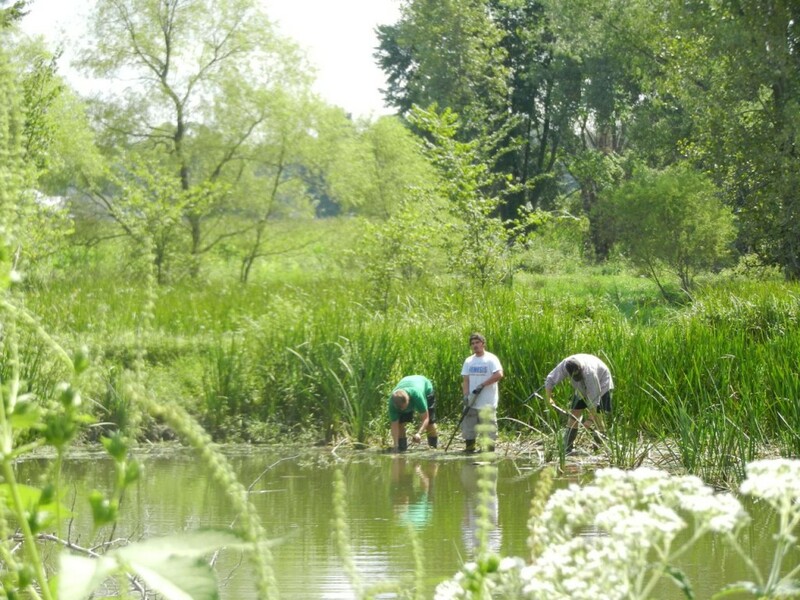 The 20+ feet of mud is a record of environmental change over the last ~15,000 years. 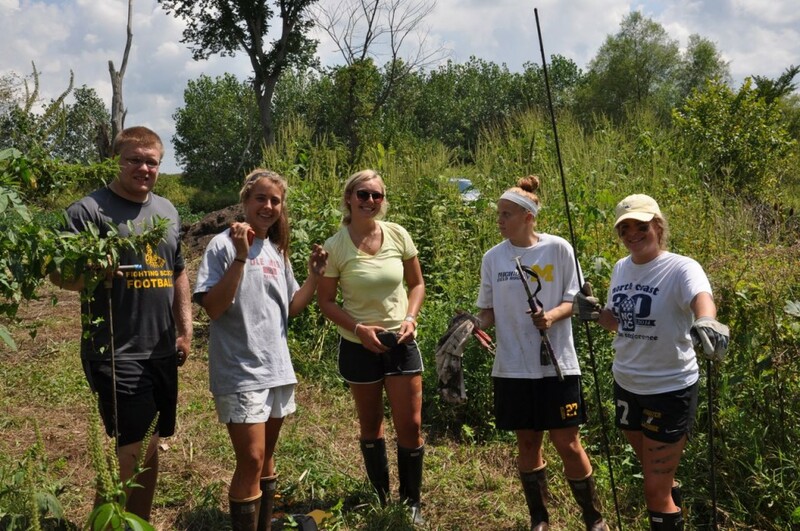 The lead probe team – one taking notes, one operating the GPS, one on the blunt end of the probe, and two others reflecting on the experience. 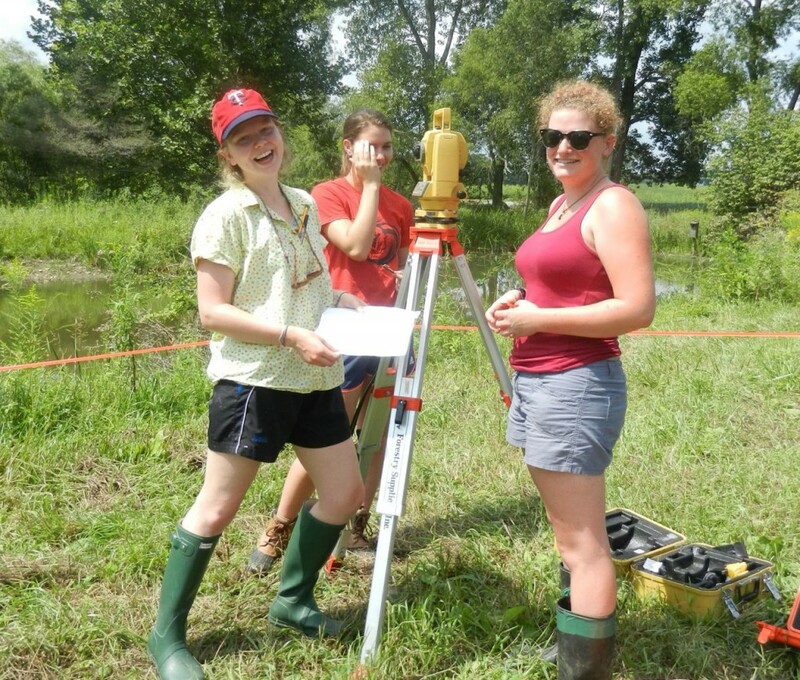 The survey team shares a humorous moment while setting up the total station. 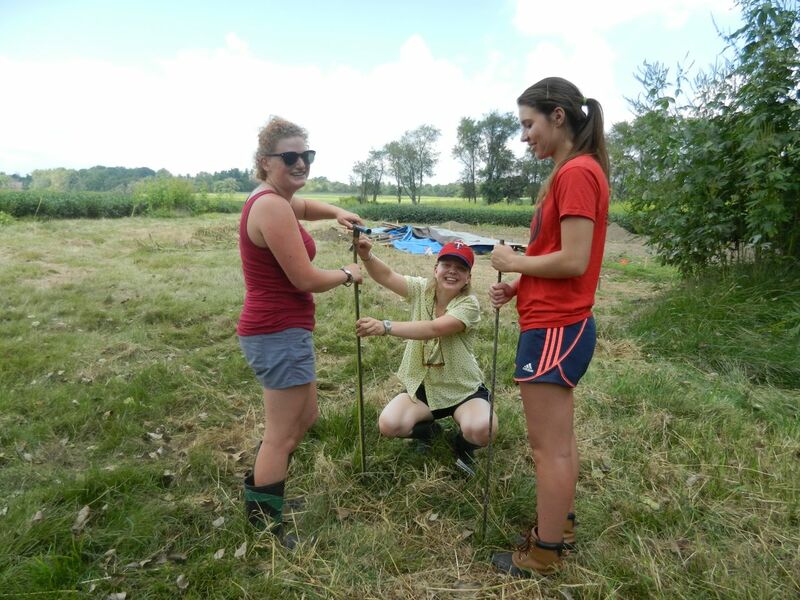 Sharing another humorous moment as an interdisciplinary (Archaeology/Spanish/ Geology) tile probe team – note the Mastodon Excavation Site in the background. 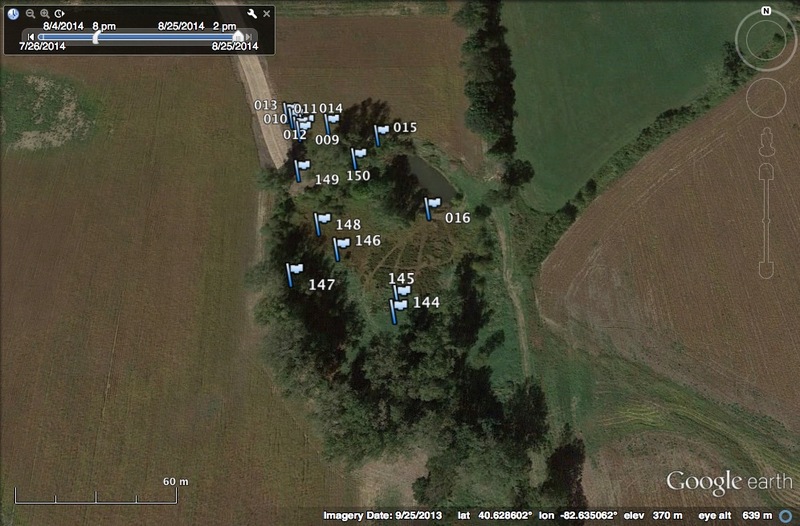 The Google earth map above shows the tile probe points taken for the construction of the isopach map. The area of the tight spacing of data points in the northwest is the excavation site. Now for the contouring of the map and the determination of where the team will extract sediment cores. The auger team sampled down to almost 18 feet and discovered that the stratigraphy is blue glacial lake clays overlain by a marl (with snail shells), which is overlain by organic-rich mud. This sequence and its details will become clearer when the site is cored on 6 September. Washing up and wondering about how the Mastodon may have met its fate along the shore of a muddy lake during the Pleistocene. Nice day for some muddy paleontology! Love to see that snail-bearing marl sometime. Cool.